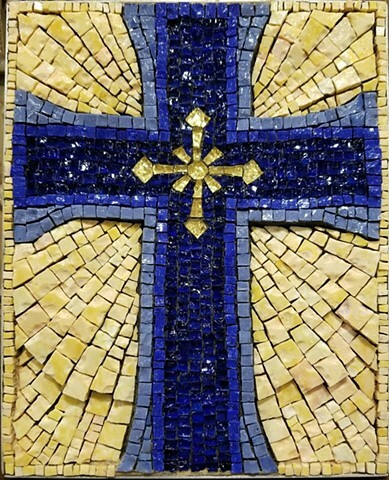 This commissioned cross was inspired by my trip to Ravenna, Italy which is considered the world capitol for ancient and contemporary mosaics. Each piece of smalti is handcut. This allows light to play on the surface creating great beauty.